I had the idea for a Christmas cookies session for a while and luckily Landon decided he was (finally) ready to sit up. 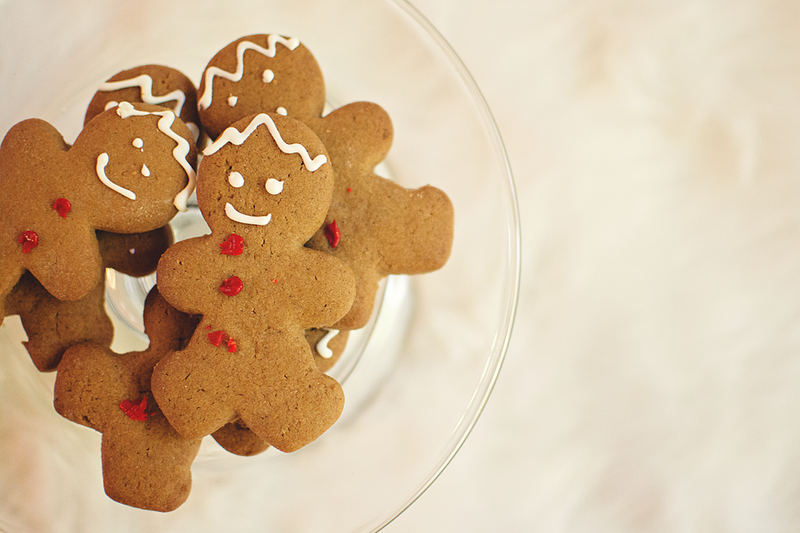 I found these adorable gingerbread men at Trader Joe's and Gigi ordered the cutest Pottery Barn Kids Christmas PJ's. I thought Landon was going to look at the cookies, maybe even hold one. I never expected he would go to town the second the cake stand went down. While I'm sure he is far too young for cookies, the pictures are adorable!